Each individual video within the film has been tagged. Please visit virtualyouthchoir.com in a desktop browser to search for your video. 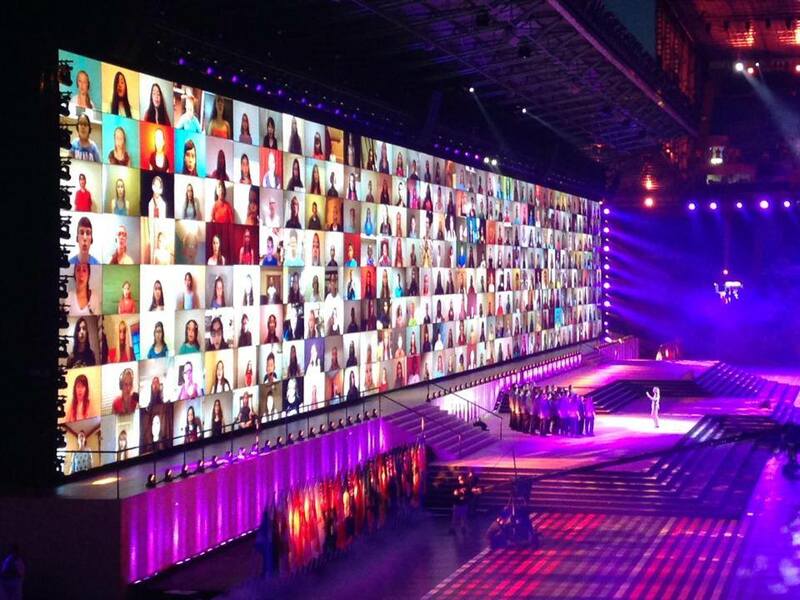 The Virtual Youth Choir, in association with UNICEF, premiered at the opening ceremony of the Glasgow 2014 Commonwealth Games on Wednesday 23rd July. The event was broadcast live on TV and webcast. Composer/conductor Eric Whitacre conducted the Virtual Youth Choir and the National Youth Choir of Scotland in front of 40,000 people in the legendary Celtic Park stadium and a huge global audience. Eric Whitacre and 2,292 young singers from 80 countries across the world have joined together to create a special Virtual Youth Choir film for the Glasgow 2014 Commonwealth Games as part of a unique partnership with UNICEF, the world’s leading children’s organisation. Whitacre, the visionary creator of the Virtual Choir arranged a special version of his song ‘What If‘ for the voices of the young. Singers age 18 and under from around the globe recorded and submitted videos to be part of our first-ever Virtual Youth Choir. Parents, older siblings, friends and teachers helped children as young as 2 rehearse and record in bedrooms, living rooms and rehearsal halls at the far reaches of the Earth so they could sing in the VYC. In many cases the voice of just one child represents an entire country, proving that one person can help change the world for the better. These global singers came together to be part of something momentous – to support UNICEF to help save and change children’s lives around the world. Together we can #putchildrenfirst. Heartfelt thanks to: David Zolkwer, Jon Sparkes, Helen Pattinson, Clare Amsel, Glen Thomson, Mark Turner, Hannah Davies, Christopher Bell, Morag Campbell, Chris Elrin, Mike Hatch, Steve Long, Robin Hawkins, the Harris family, everyone at G2014 and UNICEF, all the amazing virtual singers around the world (and those who support them) who are making this Virtual Youth Choir possible.